Different from regular battle patches, custom battle patches allow you to upload your design to add to the battle patch. Keep the design simple, however, because there is only a 1inch by 1inch space to add the design. 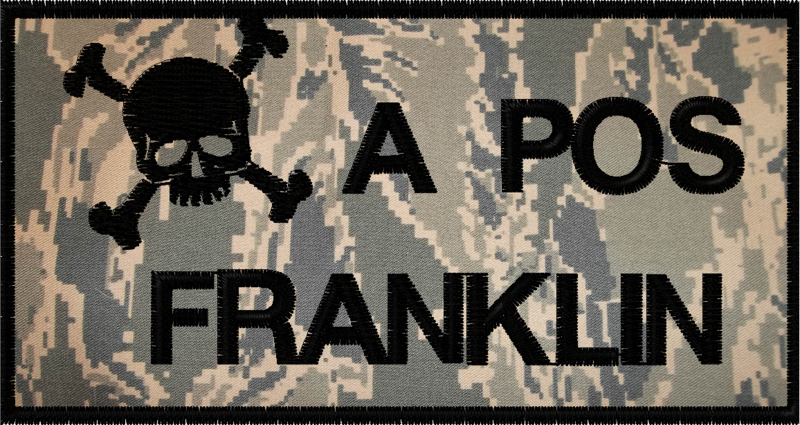 We will then digitize your design, and create the style of battle patch that you want. All you have to do is decide what style of battle patch that you want. Battle Patch 3 has room for lots of information, while regular custom battle patch has less information but more room for your custom design. A 4 x 4 battle patch has room for both - design and information and it is sized properly to fit over the regular 4 x 4 velcro on military uniforms. Go custom - truly custom and create your own custom battle patch embroidered just for you.